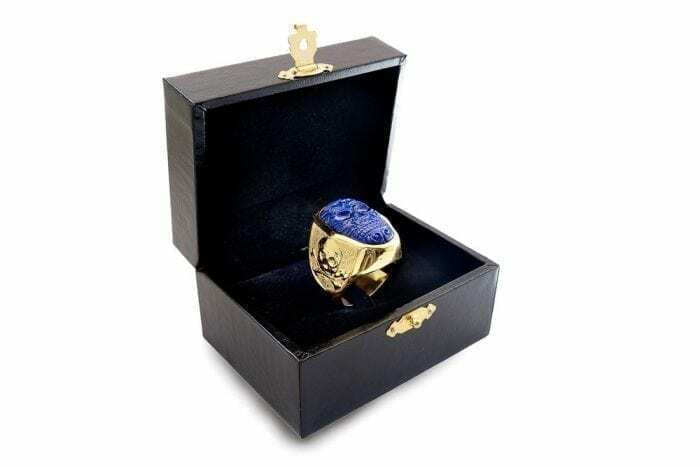 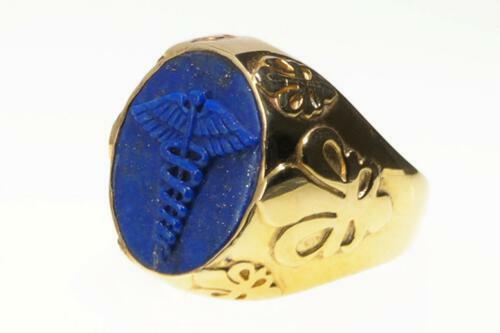 High quality lapis lazuli ring carved by hand with heraldic Aztec style. 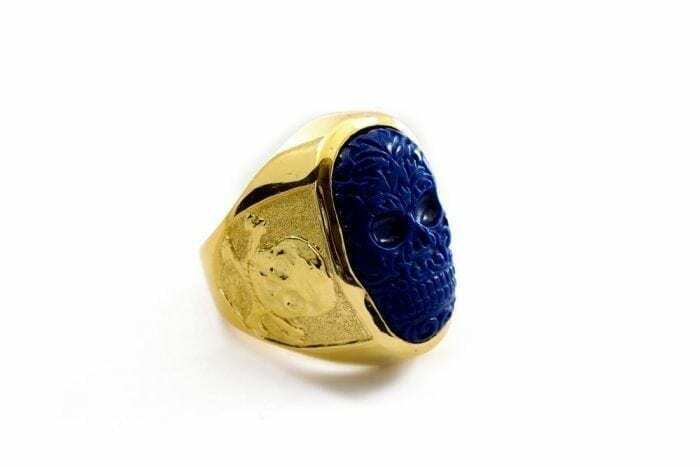 On the ring shoulders we embellished the image of the Skull and Cross Bones. 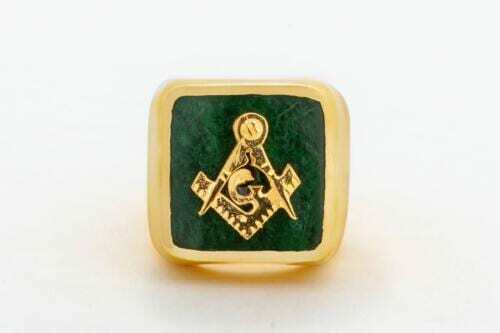 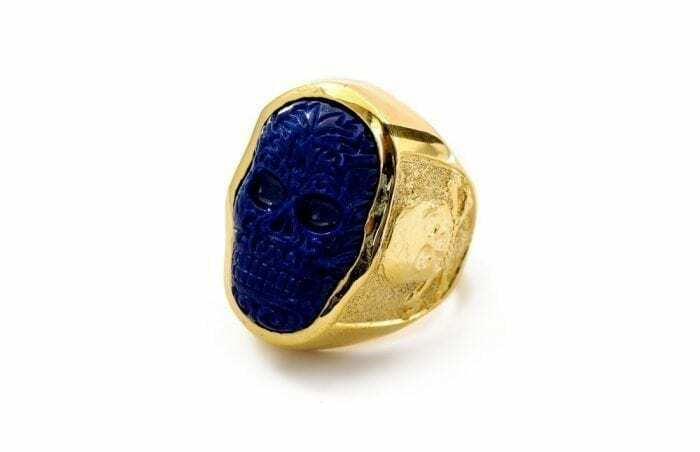 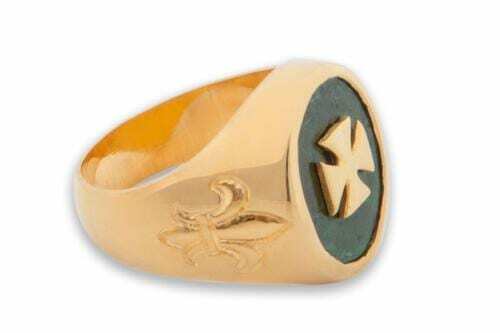 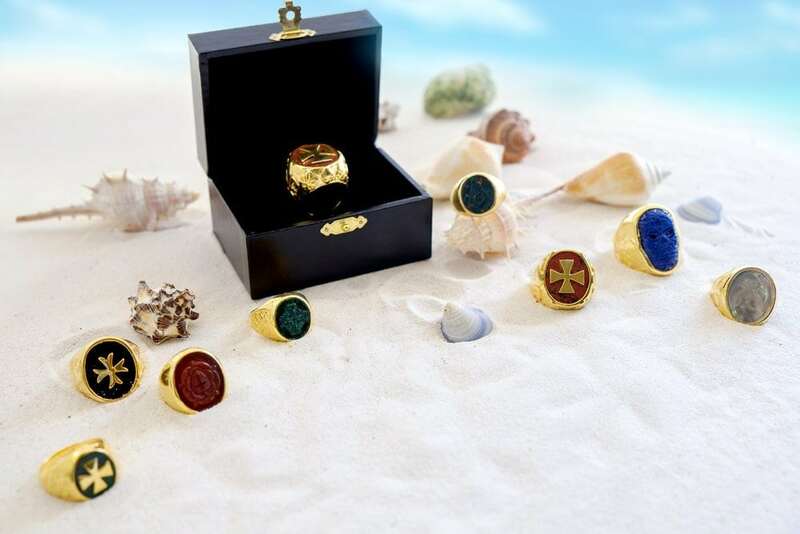 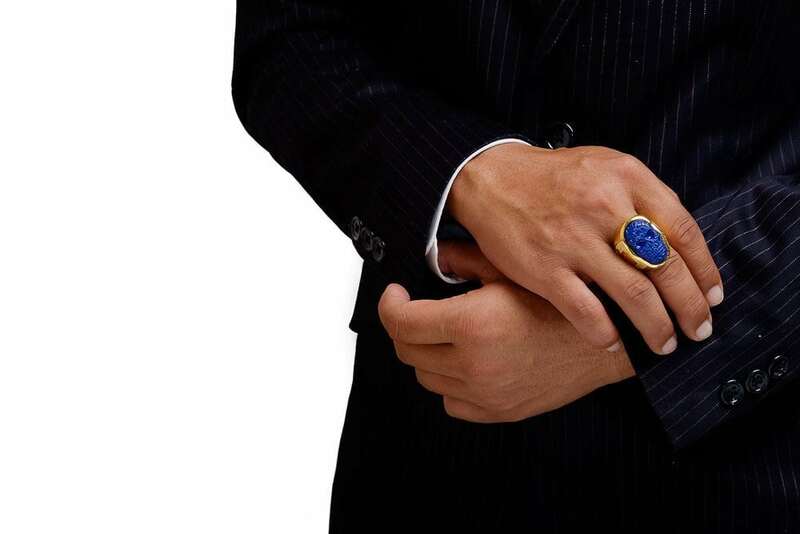 The oval stone is mounted to a gold plated (5 Microns 18 K Gold) sterling silver body which features The Skull and Cross Bones on the shoulders thus adding to the great interest of this amazing ring.